This year, I want to go to another level. With higher expectations, it’s about being able to step up at those critical times. MELBOURNE midfielder Christian Salem has signed a new deal with the club, keeping him in the red and blue until at least the end of 2021. Salem was initially contracted until the end of this season but put pen to paper on a further two years. The 23-year-old said while it wasn’t weighing too heavily on his mind, he was pleased to lock it in prior to Round 1. “It got done pretty quickly,” Salem told Melbourne Media. “I probably wasn’t too fussed about it, as I knew it was going to happen eventually – it was just a matter of when. Salem has played 70 games for Melbourne since making his debut in 2014, including all but one this past season (24 matches). On the back of his most impressive year to date, mixing between a role in the midfield and across half back, the dual positioner is only looking to push himself further in 2019. “Last year was probably my most consistent year in terms of being able to stay out on the field,” Salem said. “This year, I want to go to another level. With higher expectations, it’s about being able to step up at those critical times. General Manager of Football Operations Josh Mahoney said the club was delighted with Salem’s commitment, with his continued development an exciting prospect. “We’re very excited that Christian has agreed to a new extension with the club. “We’ve been really impressed by his development particularly over the past few years. 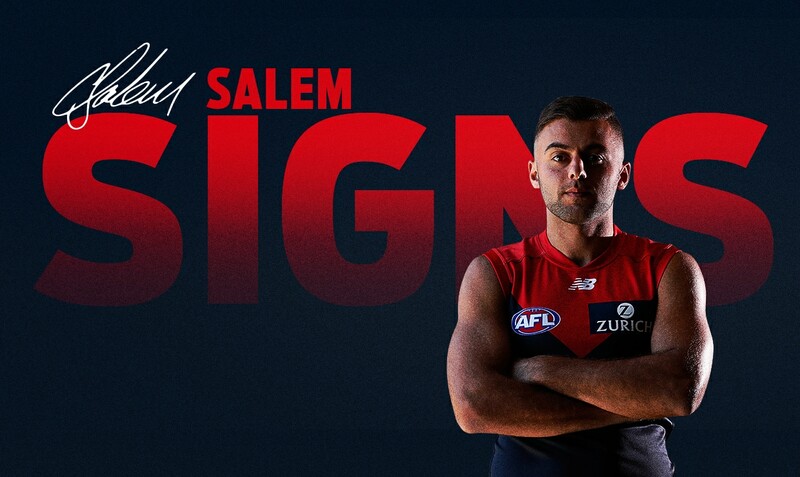 Salem joins an exciting bunch to have signed on for the future, including midfielders Clayton Oliver and Angus Brayshaw who are also on long-term contracts. “Christian’s signature continues a trend we’ve had with signing up a lot of our younger players for an extended period of time,” Mahoney said. After an uninterrupted pre-season, Salem is raring to go ahead of Melbourne’s Round 1 encounter with Port Adelaide at the MCG. And with plenty of expectation on the Demons, he can’t wait to get out there. “There’s no limit on what we can achieve,” he said. “We have a process that we’re going to stick to, and we know what we have to do to be successful, not just as a once off but to have sustained success.